BENGALURU: What would you do if you wanted to build your own house? Take a big bank loan and start scouting for building contractors and wait for a year or two before it is finally finished? Well, for a change, how about building it yourself within months? 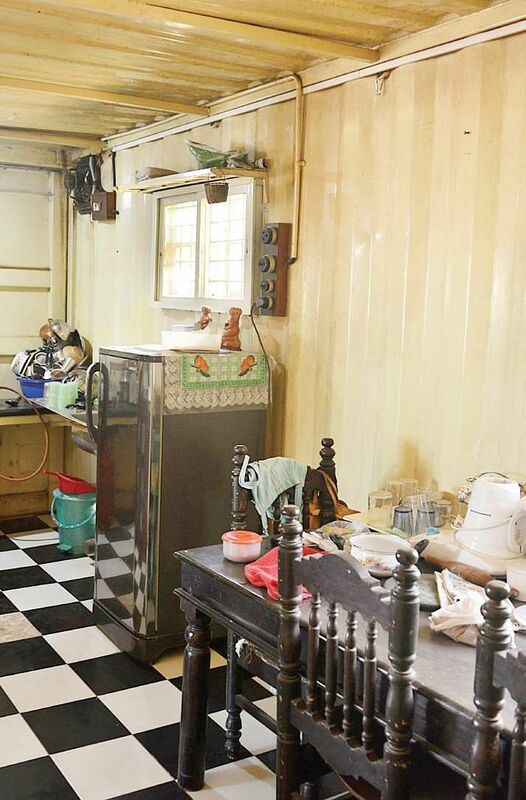 That’s what Kameshwar Rao, a businessman, did when he decided to build his house using shipping containers. “I run an adventure sports company and I had some land in Ramamurthy Nagar that I used for my work. I used it as a campsite. I did not want an all-out concrete house because I wanted something that was more multipurpose,” he says. Kameshwar built a 900-square foot one-storey duplex house within a matter of 8 months and at a quarter the cost of a concrete house of the same dimensions. He presently lives in the house with his wife and two children. “I built the house in 2011 and back then it was difficult to procure the shipping containers. In fact, I had purchased the containers way back in 2005 for some other purpose but did not use them. I then hit upon this economical and easy-to-use idea of building my house from them. Now it is easy to get everything and I can build the same house in a matter of three months,” he says. The ground floor houses his office, a garage, a ‘bachelor pad’ while the top floor has two bedrooms, a living room, a kitchen and a washroom. When mere apartments of one BHK cost nothing less than ` 20 to 30 lakhs, the entire cost of building his house was Rs 10 lakh. What’s more, he did not take the help of any engineer and learned to build it himself. “At the time when I was building the house, there was simply no one who could advise me because no one had built a container house. I used a few labourers and the help of a friend to build this house. It was made through trial and error,” he says. Kameshwar says that living in his house is not very different from living in a regular house. “There are however a number of precautions that need to be taken,” he says. Water leaks, for example, could lead to corrosion because the containers are made of casting iron. One also needs to make sure that the structure is properly insulated as it may get heated when it comes in direct contact with sunlight. “I opened up the container and used tuft sheets for roofing, an insulating material to prevent heating from direct sunlight. I also had to take extra care to put in the electricity and water lines very carefully,” he adds. When he finished building a house, there were visitors almost everyday, to the point that he stopped entertaining them after a while. “As many as 1,500 people have visited this house and they come from across the country and even foreign countries asking for tips on how to build the house,” he says. 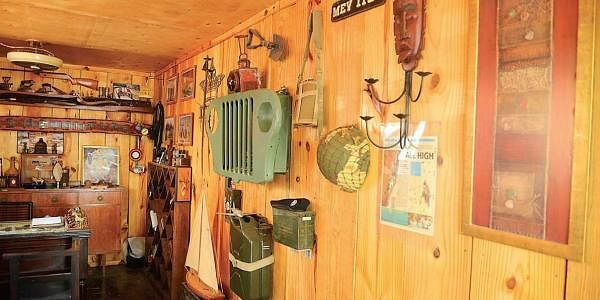 While the concept of container houses is extremely popular in the West, it is gradually finding its feet in the country. One can find these shipping containers regularly being used as portable and prefabricated offices in construction sites. However it is quite rare for people to actually opt for container houses to live in, on a permanent basis. 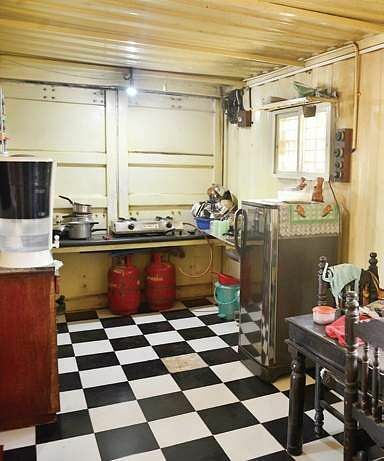 A growing number of people in the city use container houses to supplement needs for space that may otherwise be too cumbersome or too costly to build using concrete, says M Alam, of C Portable Offices, a firm that installs container structures. A case in example is Lakshmi B K, a homemaker whose family lives in Rajajinagar in a two BHK house. Her son of 11 years old has been living in a container room that was installed in the terrace a year ago. “We installed the container room because my son complained about the lack of privacy. We could not build a concrete room because our compound was too small. Also we could not have kept sand and other building material on the main road because it would trouble the neighbours and won’t be appreciated by the local authorities,” she says. They got the container room built in a month at a cost of only Rs 1.2 lakh. The room has a single bed, a cupboard, cabinet and is 10X12 in dimensions. “Another room was also installed for a cousin and there are now two container rooms. The inner portion was laid with wood so as to prevent heating. Compared to concrete buildings it is way cooler,” says Lakshmi. Sujith Nair, founder of SDEG, a city-based architect firm, says in terms of making temporary offices and farm houses such structures are extremely useful, however for permanent houses, a certain amount of research about its viability is still necessary. He has got a few inquiries from clients to build farmhouses using containers. “I myself wanted to build an office using containers but later decided otherwise because it did not suit my requirements. I think it is quick to build and innovative and these days there are numerous avenues through which you can get the containers,” he says.